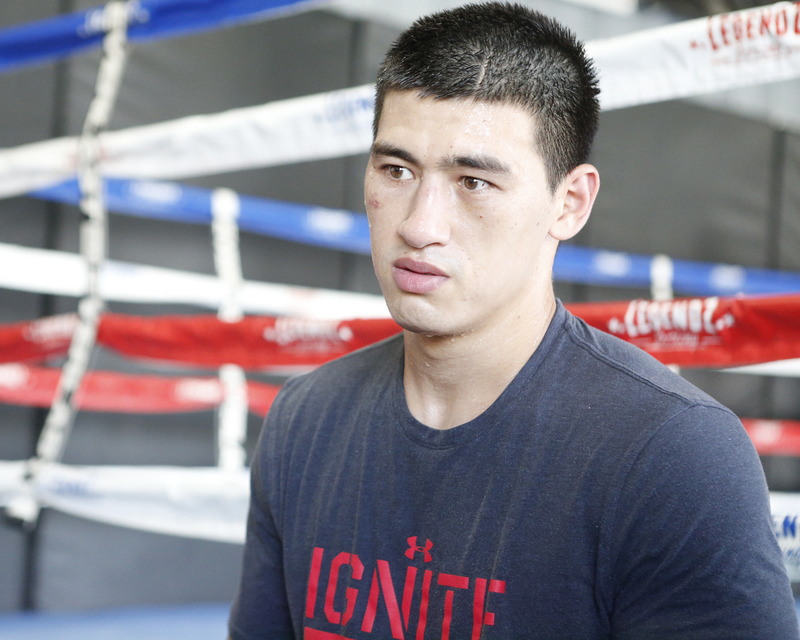 (Los Angeles, Calif.) – WBA Light Heavyweight World Champion Dmitry Bivol (13-0, 11 KOs) of Russia hosted a media workout at the Legendz Gym in Norwalk, California on Tuesday, July 24 in preparation for his title defense against Light Heavyweight contender Isaac “Golden Boy” Chilemba (25-5-2, 10 KOs) of Malawi. Bivol and Chilemba will fight in the co-main event on the Sergey “Krusher” Kovalev vs. Eleider “Storm” Alvarez card at the Hard Rock Hotel & Casino Atlantic City on Saturday, August 4. The doubleheader will be televised live on HBO World Championship Boxing beginning at 10:00 p.m. ET/PT. Promoter Kathy Duva, CEO of Main Events, Vadim Kornilov, Bivol’s manager, and Gennadii Mashynov, Bivol’s trainer, also attended and spoke with boxing media.